Cheaper than Polycarbonate. 100% colors, not paint. Outer: yellow paper carton. : F1024 Features: 1. 100%fully resin ,polycarbonate ,no steel inside 2. UV Resistant / waterproof /fireproof 3. more durable and stable 4. Low temperature resistant and High impact strength 5. easy for storage and transportion 6. 100% fully recycled Weight: N.W. : 5kg G. W: 5.2kg Carton Size: Assembled: 229*62*42cm for 20GP/40GP ( 8pc/ctn) 252*62*42cm for 40HQ ( 9pc/ctn) Disassembled: 93*40*31cm (4pc/ctn) without cushion 94*42*37cm (4pc/ctn) with cushion Loading qty. 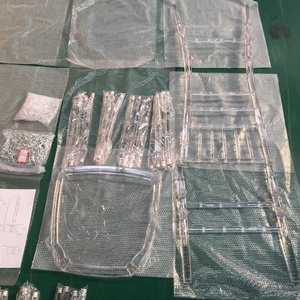 : Assembled: 408pc/20GP,824pc/40GP,927pc/40HC Disassembled: 1100pc/20GP,2000pc/40GP,2350pc/40HC MOQ: 200pcs Lead time: Within 15 days after we get the deposit or LC Payment: For more information,please feel free to contact us ! except the traditional whole sale, we also have many customers who sale online, the product quality is very important for online sale. You pay the sample cost first, but we will pay you back when you make the order qty more than 100pcs/model. 4.How long will it take to execute my order9 This depends on the size and complexity of the order. products can be exported to all countries or regions of the world . 6. Are the chairs water proof and fire proof9 Yes . 8. 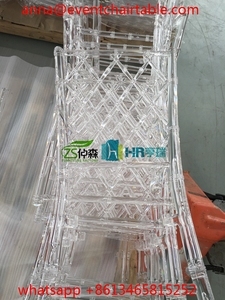 What is the material used for the production of the chair9 Material: polycarbonate . you need not woory about the quality, because we can provide you the highest quality products you want. Q: How long is your delivery time9 A: Generally it is 5-10 days if the goods are in stock. or it is 15-20 days if the goods are not in stock, it is according to quantity. *Airport,waiting room, public hall, shopping market, garden, school use . 5.Providing sample for customer,free sample if visit factory. 1 pc With polygonal inner lining and multi-layer carton box outside. 8 YRS Dongguan Smart Furniture Co., Ltd.
11 YRS Nanjing Luqint Paper Products Manufacturing Co., Ltd. The Weljia Table & Seating stacking restaurant wood high chair keeps your younger guests safe and secure. With the Weljia Table & Seating stacking restaurant wood high chair with black finish, your smaller patrons can stay safe and secure while dining in your establishment. Built to Table Height Since this high chair is built to sit flush with your tables, your smaller guests will be able sit at the same level as your other guests. 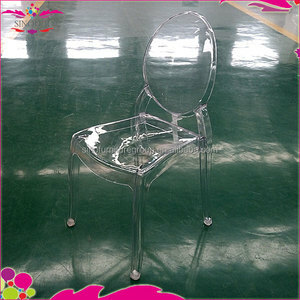 chairs and tables acrylic legs for furniture acrylic legs for furniture acrylic legs for furniture More details about chairs and tables acrylic legs for furniture Item name chairs and tables acrylic legs for furniture Item num. 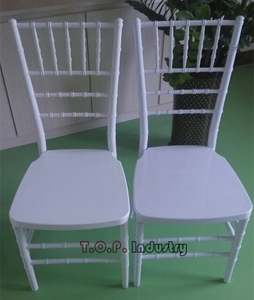 top cross and base in one carton tube in one carton chairs and tables chairs chairs Dongguan Smart Furniture Co. , Ltd is the professional provider in Developing, producing and selling all kinds of table bases and outdoor furniture Quality table Specialize in aluminum table base, cast iron table base, stainless steel table base , synthetic weaving table and chairs, aluminum table and chair, fabric table and chair, umbrella, gazebo and so on. About company Our workshop covers an area of 20,000 square meters, operates 3 modern production line of steel furniture. The products in our warehouse were placed orderly, and our warehouse is smoking & fire forbidden to protect the products. our showroom covers an area of over 300 square meters, over 100 products exhibited in the room. 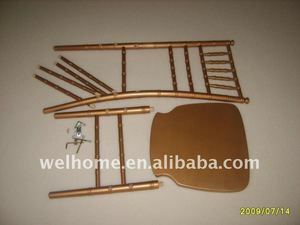 Alibaba.com offers 27 unassembled chairs products. About 25% of these are hotel chairs, 14% are dining chairs, and 11% are restaurant chairs. 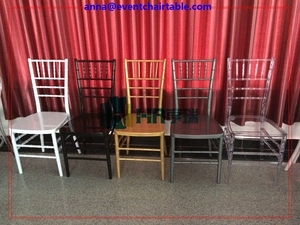 A wide variety of unassembled chairs options are available to you, such as restaurant chair, hotel chair, and dining chair. You can also choose from restaurant furniture, hotel furniture, and dining room furniture. As well as from plastic, wood, and metal. 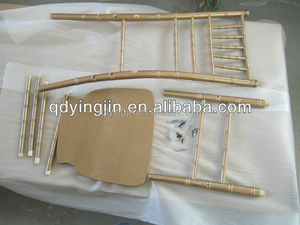 And whether unassembled chairs is commercial furniture, or home furniture. 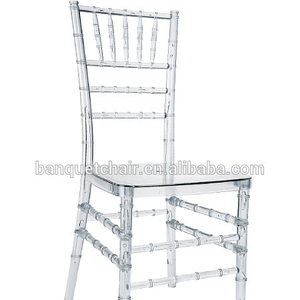 There are 27 unassembled chairs suppliers, mainly located in Asia. 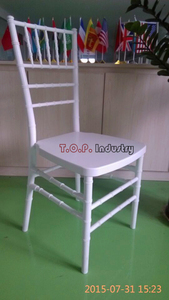 The top supplying country is China (Mainland), which supply 100% of unassembled chairs respectively. 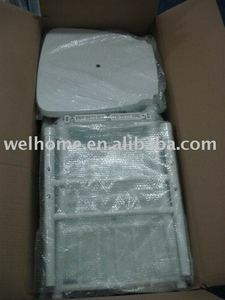 Unassembled chairs products are most popular in North America, Western Europe, and Eastern Europe. You can ensure product safety by selecting from certified suppliers, including 9 with ISO9001, 3 with Other, and 2 with FSC certification.